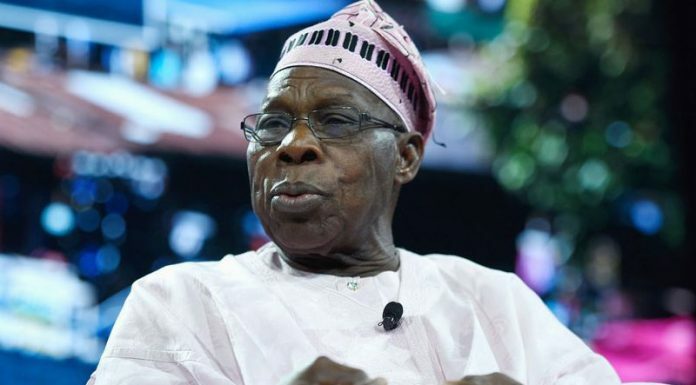 Former President Olusegun Obasanjo is demanding immediate retraction and apology from African Independent Television (AIT) over a photo shown on it social media segment, Kaaki Social, where a tweet showed him holding a purported meeting with Vice President Yemi Osinbajo (SAN) and the Minister of Transportation, Hon. Rotimi Amaechi, in his Ota farm. The Media Assistant to former President Obasanjo, Mr. Kehinde Akinyemi, told THISDAY that the former president was very embarrassed by the photo and demands quick retraction from AIT. “Baba (Obasanjo) has called me now. The man has said it several times that he does not have Twitter account. He called me personally that he was embarrassed and that he deserves an apology from AIT over that. That he has maintained that he doesn’t operate social media account; no Twitter, no facebook, no anything. He has said it repeatedly. “Obasanjo is demanding retraction from AIT over his purported meeting with Osinbajo and Amaechi. He is demanding immediate retraction and apology,” Akinyemi said.